Following a meeting in December 2012 with Mr Paul Wiseman (Michelmore Hughes), Estate Manager for Mount Edgcumbe Estate potential development ideas / opportunities were put forward to representatives of the Rame Cluster Steering Group. Questionnaires were circulated during Maker with Rame Public Consultation on 8th February 2014. 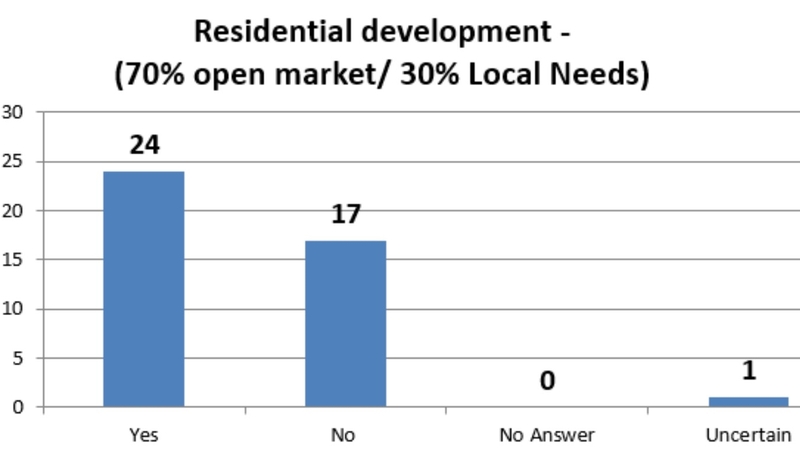 The charts below analysis responses to the questions with comments received from consultees. Residential development – 70% open market / 30% Local Needs) to the West of lvy Cottages, Cremyll including a new road into the Cremyll Shipyard with this development incorporating part of the Obelisk Field. 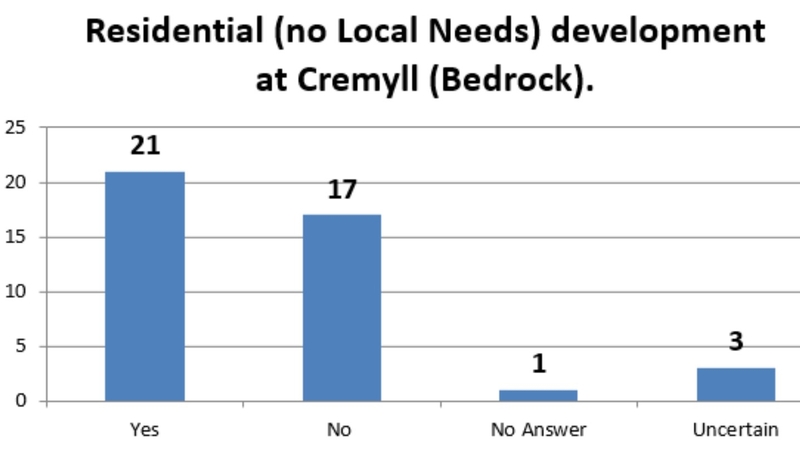 Believe the Cremyll/Edgcumbe area is ideal for expansion (housing and business units) / if houses are needed this gives good commuter links to Plym – no need to use cars / would prefer 70% local needs and 30% open market! / this would make a nice little community / any new building should accommodate biodiversity offsetting i.e. planting of trees and conservation enhancements / high increase in traffic and destruction of the countryside / should be 50/50 / need to proceed with caution, property to be inkeeping / engagement of residents important / this would have a big impact and needs thought and advice / increase local needs element / more should be affordable to local families – development should be sensitive to local landscape / Why? Residential development in the old Home Farm Barns complex with the farm buildings being sited elsewhere. This is an 18th Century Listed building complex and unique farm that must be conserved in any development / use farm buildings only / potential for conversion to holiday lets? Small changes only / are these being used at the moment? 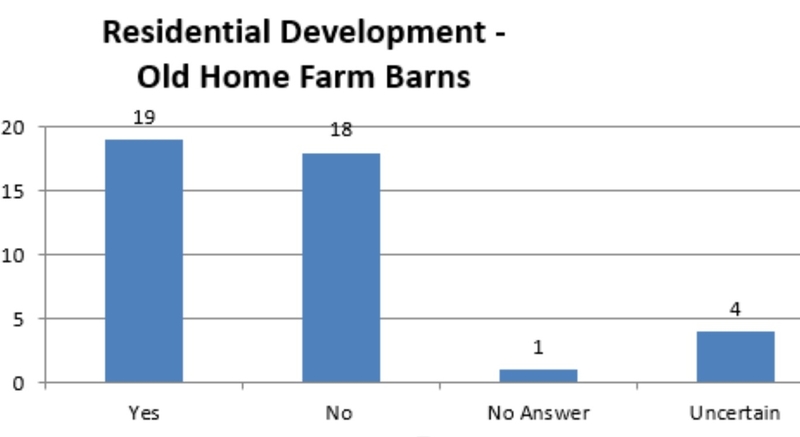 / what options are there for relocation of farm buildings/ this would make me very sad but i suppose this is ‘progress’ / more should be affordable to local families – development should be sensitive to local landscape / don’t waste resources on old buildings. 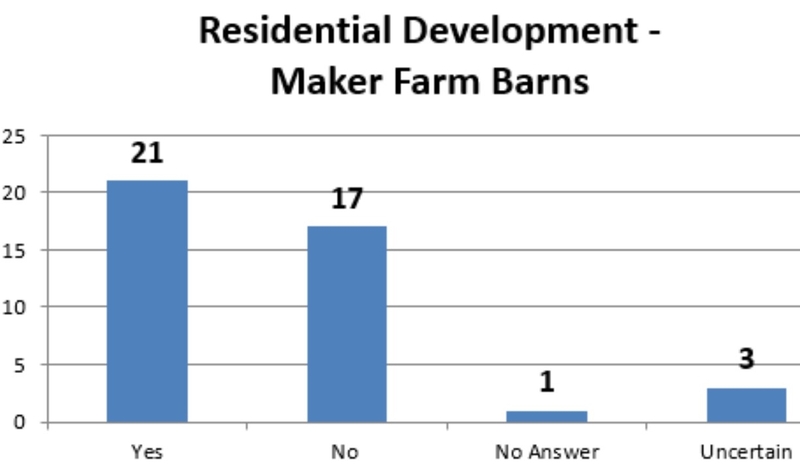 Residential development at Maker Farm Barns with the farm buildings being sited elsewhere. Over development of this area / Protect the barn owls / are these being used at the moment? / this would make me very sad but i suppose this is ‘progress’ / road unsuitable too many bends / local needs not holiday / more should be affordable to local families – development should be sensitive to local landscape. 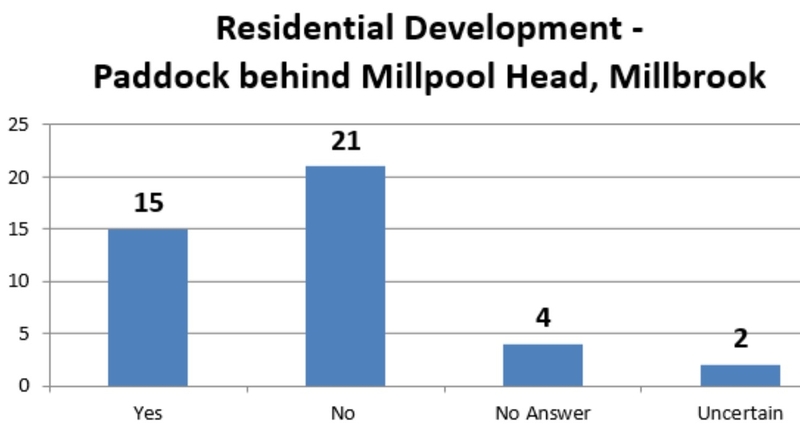 Residential development (no Local Needs) at the paddock behind the Millpoolhead development at Millbrook. Flood risk / what about drainage and flood risk / already a muddy area. 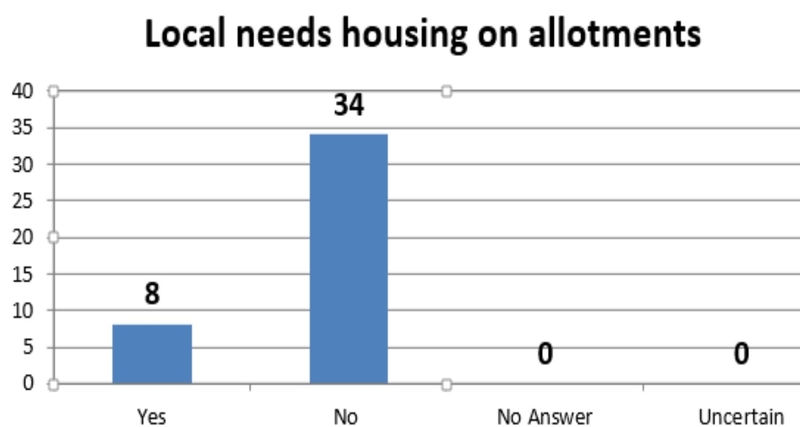 Local needs housing on the allotments at Kíngsand and Cawsand. These are well used allotments with good shelter weather protection and handy access for locals / KEEP the ALLOTMENTS / ensure all allotments are used with local allocation / Slopey development could increase flood risk / there should be NO building on the allotments, esp in Cawsand being so near the cliffs / high increase in traffic and destruction of the countryside / need to retain availability of allotments to anyone that wants one / no mention of coombe park / people are desperate for allotments – make sure the people who have them are actually using them / not unless better allotment can be provided / alottments are needed for storage and wood storage too – need for general village living, they aren’t just for hobby diggers / we need more allotments not less / allotments should not be developed – important for flood management and landscape impact / but with care and at a very small scale. 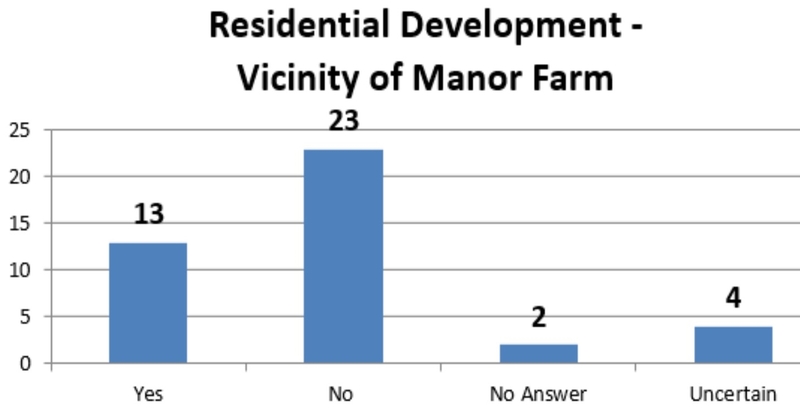 Residential development (part open market, part Local Needs) in the Vicinity of Manor Farm, Millbrook. I don’t believe our local infrastructure is good enough to support further development / high increase in traffic and destruction of the countryside / can our infrastructure cope (sewage and traffic). 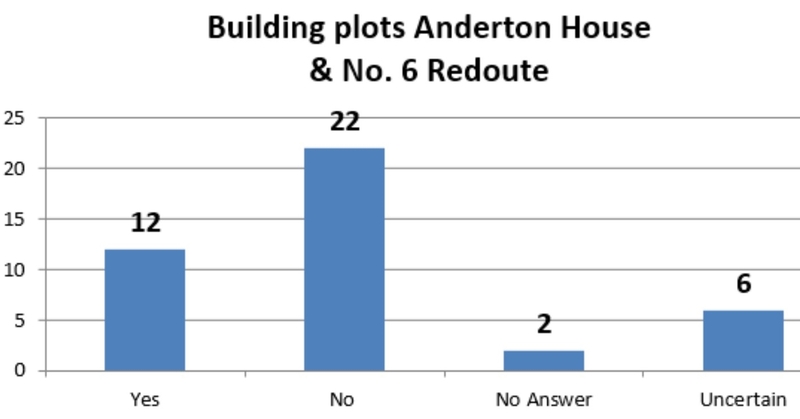 In filled building plots at Anderton House and number 6 Redoubt. Conversion of the ancient monuments for commercial/residential units viz Grenville Battery and number 5 Redoubt. Absolutely opposed to this – we have so few ancient monuments left, they should be protected and preserved for future generation instead of developing them? / retain public use and accessibility is important in any potential development / good idea but what about infrastructure / need to retain public access / provided development is sympathetic / only if thsi protects and enhances their historical features and enables access / roads too narrow / local needs only. Residential (no Local Needs) development at the Old Oil Storage Depot at Cremyll (Bedrock). No extra transport / local needs only / instructure limits development. Replacement allotments on a green field site to be determined by the Estate after consultation with the farm tenant. REALLY necessary / only in addition to existing ones.